What Does Wellness Really Mean as We Age? Wellness is much more than your physical health. It’s a practical, holistic philosophy that encourages a lifestyle that enhances the body, mind and spirit. Research on healthy aging shows that seniors who embrace wellness as part of everyday life receive significant benefits. It’s an active process – which means it takes time and intentionality. It needs awareness – which means paying attention to the different aspects of your life. It requires choices – which means you’re in the driver’s seat. Because humans are multifaceted creatures, wellness looks at different dimensions of life that are interconnected. When all dimensions function well, so does the human. Emotional: Showing awareness and acceptance of your feelings, as well as the ability to express them in a healthy way. This includes how positively you feel about yourself and your life, the ability to manage your feelings, coping with stress and realistically assessing your limitations. Physical: Understanding your body and its relationship to nutrition and physical activity. As you might expect, it involves eating well, and building strength, flexibility and endurance in safe ways. But it’s also about taking responsibility for your health, paying attention to your body’s warning signs and seeking medical help when necessary. Intellectual: Expanding your knowledge and skills through creative, stimulating mental activities. Think about ways you pursue personal interests, develop your intellectual curiosity, stay on top of current issues and ideas, and challenge yourself. Occupational: Contributing your unique skills and gifts to work that is rewarding and meaningful to you. It can mean working at a job, but it also means developing new skills, volunteering, mentoring, teaching or coaching others. Spiritual: Recognizing the search for meaning and purpose, developing an appreciation for life and the world around you, and letting your actions become more consistent with your values and beliefs. Some people follow specific religious practices, while others lean toward a more general pursuit of harmony and self-awareness. Social: Contributing to your community and environment and recognizing the interdependence of people and nature. This is about making choices to build better personal relationships, a better living space and a better community. Achieving wellness is a common sense goal for anyone. But are there particular benefits for seniors? Absolutely. 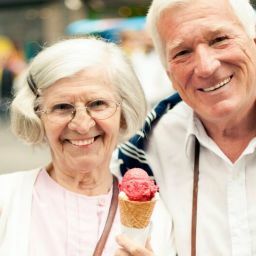 A long-term study by the MacArthur Foundation found that 70 percent of physical aging and approximately 50 percent of mental aging is determined by lifestyle choices we make every day. Continued research into senior wellness activities confirms those findings and shows how the dimensions of wellness could be keys to a longer life. A Yale study on aging and retirement found that seniors with a positive view of their lives lived an average of 7.5 years longer than those with more negative views. 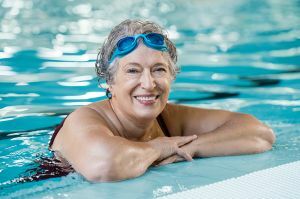 Older adults who are physically active have lower mortality rates, higher levels of functional and cognitive health, and are less likely to have heart disease or Type 2 diabetes. 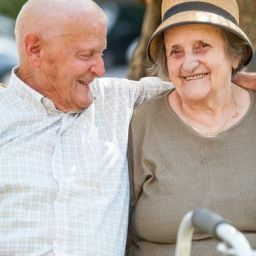 Memory function in seniors is improved by regularly doing tasks that require active engagement and that are challenging – like learning a new skill. 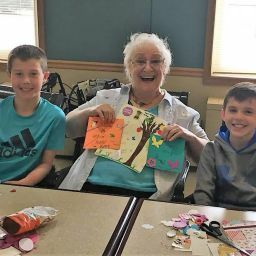 Volunteering as a senior is associated with health benefits such as enhanced cognition, delayed physical disability, reduced risk of hypertension, lower mortality and an improved sense of well-being. Religious and spiritual involvement is associated with higher levels of well-being, lower rates of hypertension, fewer strokes and less pain from illnesses. One study estimates that religious involvement prolongs life by about 7 years. An active social life is associated with better cardiovascular outcomes, greater immunity to infectious disease, less risk of depression and a longer life. Just like you need to get your blood pressure and heart rate checked periodically, it’s important you check your level of wellness. Ask yourself questions that will help you see what areas you’re doing well in – and where you’re not. The only tricky part? Being honest with yourself. Am I satisfied with how my life is turning out? How well do I manage my stress levels? Am I happy and content most days? Do I eat healthful, nutritious food? What kinds of physical activities do I participate in? How often? Am I as healthy as other people my age? How often do I try to learn new things? What do I do to stay mentally stimulated? Do I attend cultural or educational events regularly? Do I share my knowledge or experience with others? How often do I volunteer or go to work? Am I bored, or do I use my time wisely? How often do I meditate, reflect or pray? Do I have a well-defined sense of purpose and meaning? Do I feel in harmony with the world around me? How often do I socialize with a consistent group of friends? Are my family relationships a source of satisfaction for me? Do I invite friends or family to my home at least once a month? So what does wellness really mean as you age? It means you’re not done. 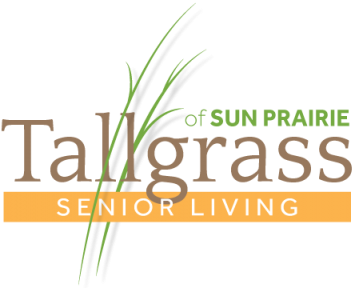 It means that, whether you are on your own or are part of a senior living community with a wellness program, you can find ways to nurture every aspect of yourself. And that can help you get healthier, be happier and enjoy life more fully. 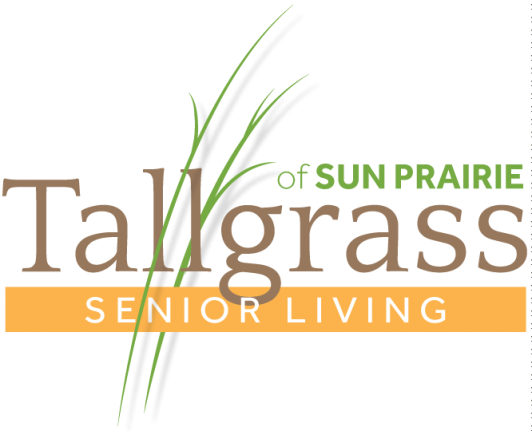 For more information, contact Tallgrass Senior Living of Sun Prairie at 608-837-2124 or info@tallgrassofsunprairie.com. Successful Aging. John W. Rowe, M.D., & Robert L. Kahn, Ph.D., Dell Publishing, 1998. To Live longer, Accentuate the Positive. Psychiatry Online, 2002. Physical Activity and Older Adults. World Health Organization Fact Sheet. The Impact of Sustained Engagement on Cognitive Function in Older Adults: The Synapse Project. Psychological Science, Vol. 25(1), 2014. Productivity & Engagement in Aging America: The Role of Volunteerism. Daedalus, Spring 2015. Spirituality and Aging. Medscape, 2010. The Role of Social Networks in Adult Health. Health Psychology, 2014. All Ages Win with Grandparent Adoption!